Why should I do post-run yoga? Why should I do post-run yoga? What happens when you stretch/ don’t stretch post-run? I know how it is… You’ve finished a great run and you feel pumped – but you also feel worn out and hungry! After an hour or so, you get up to go to the bathroom and you feel so stiff! Everything has started to tighten and stiffen up and you feel pretty uncomfortable. You think to yourself… Maybe I should have stretched – I’ll do it later, or, I’ll do it next time. The next day you go to run again but you feel way stiffer before you run than you did the day before. You run anyway but it’s cold, so you go faster initially than perhaps you should… and before long, you feel a twinge in your calf (or hamstrings) that gets worse, and then you have to walk the rest of the way. You have that quick chat with your buddies, as you all start to stretch. As you start to do more, you stop chatting and you focus on how you feel. 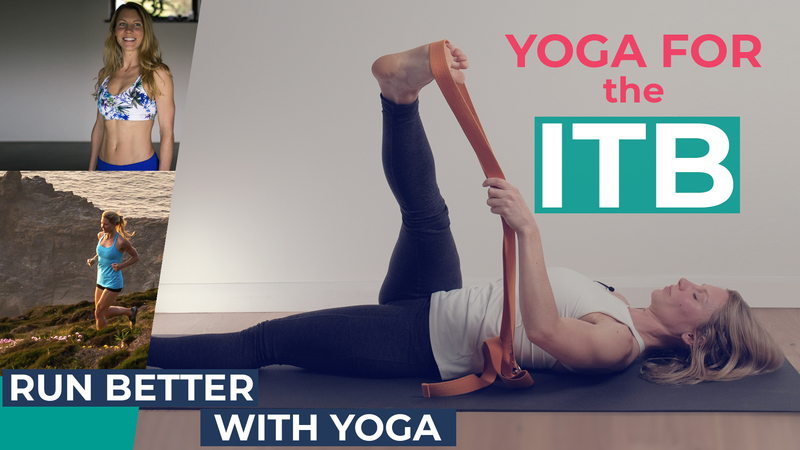 You know that it’s only going to take around 10 minutes to do your post-run yoga or stretch out routine. You do it because you know that it’s going to help you to feel much better later on in the day and ready for your next run tomorrow. If it’s a sunny day, you’ll do it straight after you run. Sometimes, you’ll drive home but as soon as you get home you’ll take your 10 minutes to do your post-run routine. Then you get your breakfast! Then you sit down to read the paper or do your work and, when you get up that hour later, you feel totally fine. More that time, you feel great, you feel mobile, nimble, you feel refreshed and you feel happy that you got your run done and guilt free because you know that you stretched out. You look forward to your run the following day, as you know that you’re going to feel great and ready for it. Accumulated tension that’s built up through repeatedly contracting the muscles whilst we run, has no opportunity to release the excess we don’t need. The muscles shorten as they tighten because they have no opportunity to release and re-lengthen and remain this way if not stretched. 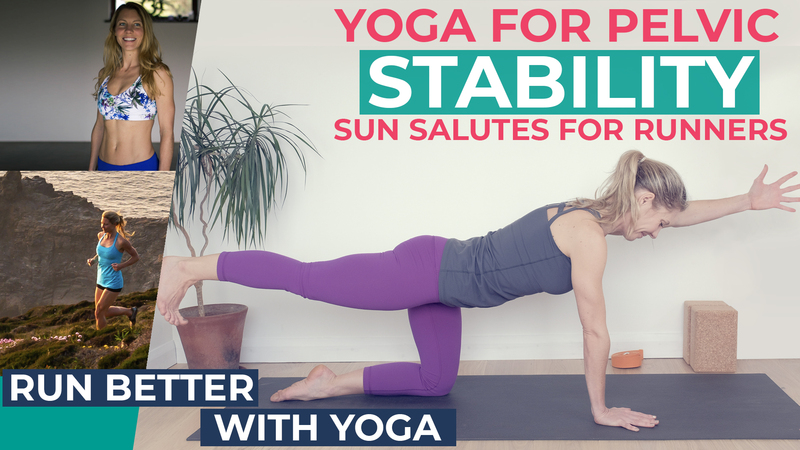 It’s true, as runners we do need muscular tension – we want to be building strength for stability and joint protection; too much flexibility as a runner can be detrimental. However, without sufficient flexibility, our running technique is impaired. Let’s consider the hamstrings. The hamstrings work, hopefully alongside the glutes, constantly contracting as we run. So the muscles are shortening and getting stronger. If we take the time to release just some of that tension that’s built up during the run, in a post run yoga routine, we’ll release a good amount of that excess tension. We’ll maintain some of it, but we also want to release some of it. Also, if we don’t give our muscles the opportunity to re-lengthen, then they are at a greater risk of suffering injury. The shorter the muscle the tighter it gets, and the less mobility we have in the joints. The less spring like quality the muscle has, as it’s under more tension it’s much easier to tear or strain. So try this 10 minute video. Here you go! It’s my go-to yoga routine for after my run. Just 10 minutes. You could do it straight after your run if you have your phone on you to follow it, or do it as soon as you get home. This is the routine I’ll use most often – I have another that I recently shared with you that’s all standing and I tend to do straight away outside. 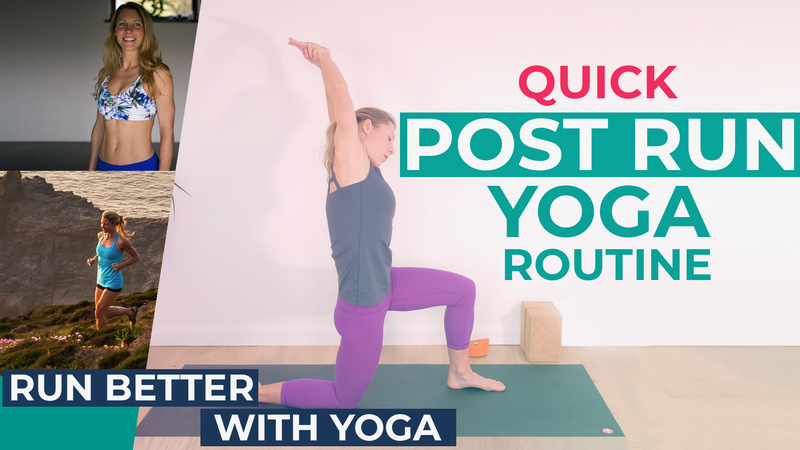 This one, I tend to do as soon as I get indoors and then as often as I can, I’ll do a more relaxing and restorative yoga practice that same evening, especially if I’ve gone the extra distance in my run. More on that next week! Let me know how you get on in the comments below, as I always want to know how you get on. Tell me your stories and experiences. Are you making the time to do some yoga after your run, or is this a new habit that you’re hoping or trying to create? I look forward to hearing from you in the comments, in our Facebook community, or feel free to email me here. Thank you so much for reading and for watching. I love building this community and see staying in touch with you. All my best wishes, Helen.